Shopping in and around San Francisco's Union square can be exhausting, especially during the holidays or the sales. Fred has been a regular in Belden Alley, San Francisco's little slice of Europe with its outside dining tables since he arrived in the US eight years ago, so it is here we head for some brunch. It's already 4pm and we haven't eaten yet. We arrive and find another French friend sitting alone with a sandwich so we join him outside. It's mid December, my mother sends me an SMS to tell me it's snowing in England, but in San Francisco it's bright, sunny and certainly warm enough for terrace dining. 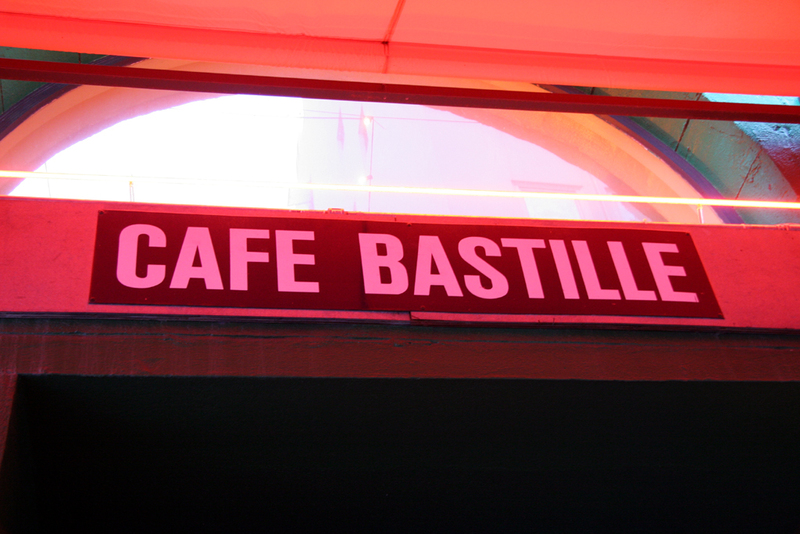 Bastille has wall heaters and awnings, anyway, which makes eating outside possible, even when it is cold or rainy. Croque Monsieur for the gentleman, Croque Madame for the lady. A French toasted sandwich with ham and cheese. For the madame, the addition of a fried egg. The lady appreciates the moment when she pierces the yolk causing the yellow to dribble all over the sandwich. She delights in mopping it up with the melted cheesey bread before it has time to congeal. She's so far deep into her comfort zone, snuggled up with carbs and proteins in an array of sunshine colours, she doesn't even bother to touch the salad. Fred and A just laugh when she asks them if these Croques are as good as the French ones. That means no. But these are ok, they are doing their job, hitting the right spot. 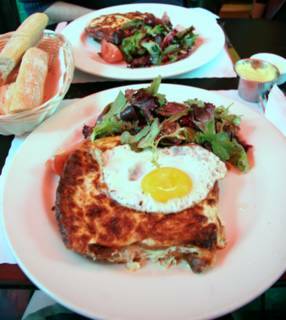 My own, personal favourite Croque Madame of all time is from Amato on Old Compton Street in Soho, London. If you're ever in that area, give it a visit. I was rather partial to their Almond Croissants too. It's probably better for my waistline, that I've moved to the other side of the world. PS Let it be known, in case I am accused of favouritism, publishing posts about this place on my site, that due to many years as a loyal customer of this establishment Fred can now count its owner as a firm friend. By association I do too. It's not my favourite food in town but its where we get the warmest welcome and the most love. And, sometimes, love is what you need. 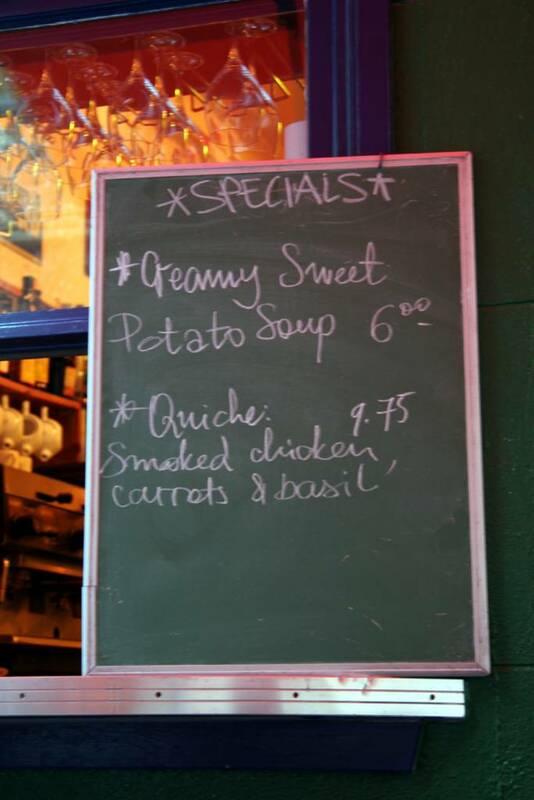 Congratulations on your Food Blog Awards nomination! Good luck to you both in the final voting! I'm in such good company, I am honoured! Good Luck to you too!